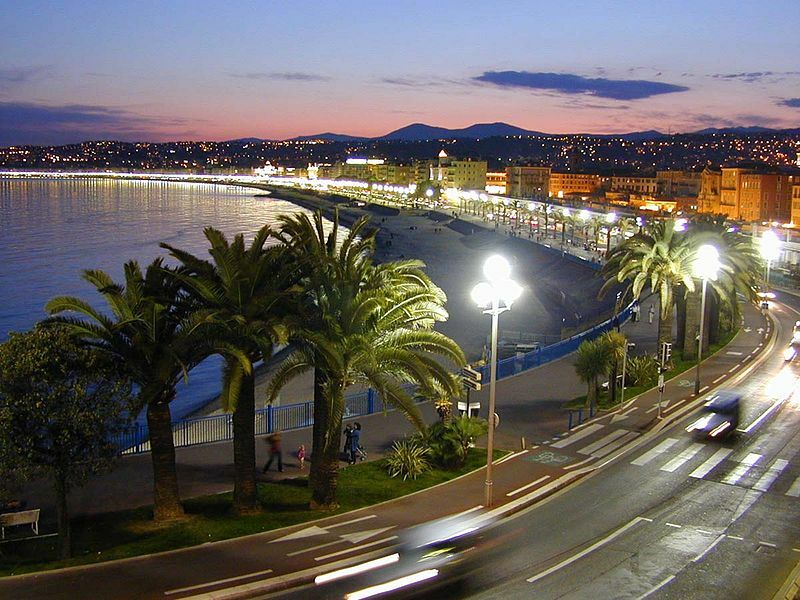 #Nice, the "winter capital" and her #Promenade des Anglais. [PHOTO-VIDEO GALLERY]. Until Oktober 4, 2015, 14 exhibitions to enhance its inclusion on UNESCO's World Heritage List. 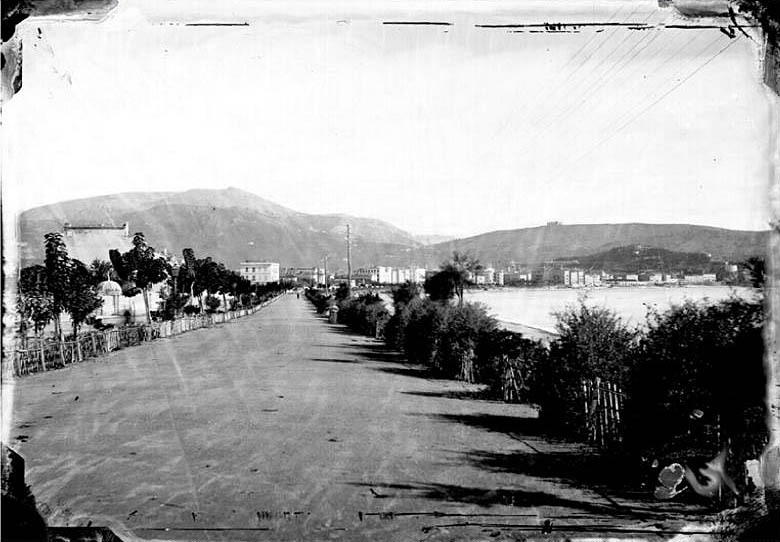 Promenade des Anglais in 1882. 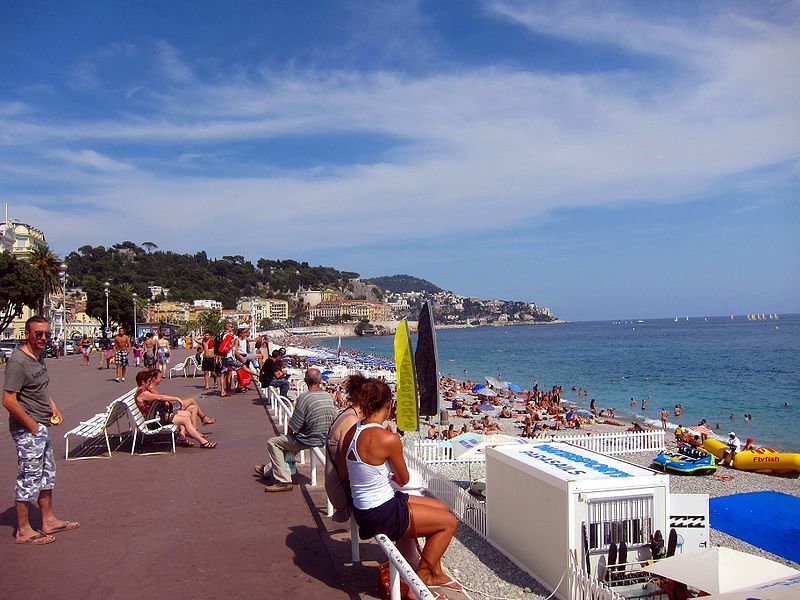 Nice's 'winter capital' refers to the new town that took shape next to the old town on the right bank of the River Paillon to accommodate foreign winter holiday-makers who flocked to Nice for its balmy climate and the 'joie de vivre' expressed in Henri Matisse's famous painting. Over the decades, the new town became a veritable 'winter capital', built according to town planning designs that prioritised squares, parks and gardens to enhance the pleasures of open-air living and strolls. 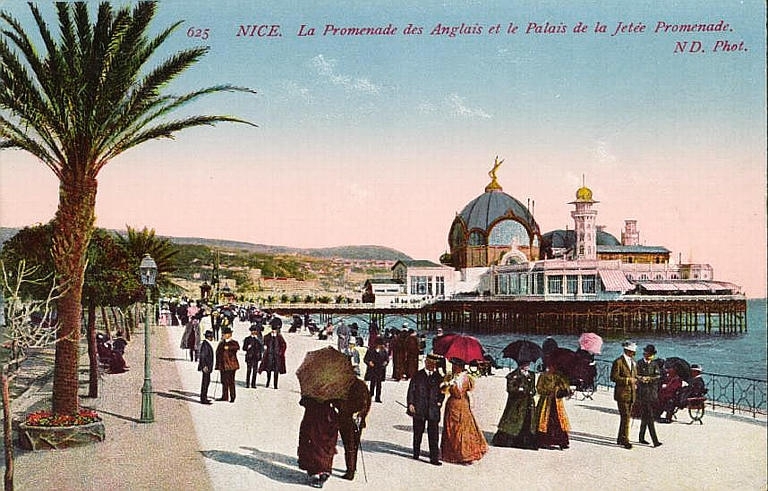 The Promenade des Anglais was the result of simultaneously elite and hedonistic aspiration, with walking seen by the upper classes as a healthy activity and opportunity to socialise. The Promenade quickly became known as the Promenade 'des Anglais' because it was initiated by the English expat community living in the Croix de Marbre quarter, which became known in turn as 'New Borough'. The Promenade thus became a symbol of the emergence of a new town and a new approach to town planning. As the city grew, remarkable architecture flourished in harmony with successive trends, designed to host all the main facilities of a resort town: villas, inns, hotels, luxury hotels, casinos, clubs and churches of all faiths represented in the non-Catholic community. After World War I, changes in tourism trends led to summer tourism prevailing over winter breaks, as new buildings popped up, including residences and seaside structures. The incredibly diverse architectural heritage of this new city is an illustration and expression of successive waves of tourism trends, from the early 19th century aristocratic travellers to today's mass tourism. The city was also a hotbed of artistic and literary life due to the number of artists and writers who holidayed here. The sheer numbers of socialites with a passion for 'cultured' pastimes resulted in the emergence of a high quality musical scene. Among the many famous names who have left their mark on the city's history, particular attention is given to writers such as Friedrich Nietzsche, Stefan Zweig, Marie Bashkirtseff, Jean-Marie Gustave Le Clezio, Colette, Patrick Modiano and Max Gallo and artists including Berthe Morisot, Henri Matisse, Raoul Dufy, Marc Chagall and Max Beckmann, as well as the photographers Charles Nègre and Jacques-Henri Lartigue and film makers such as the Lumière brothers, Jean Vigo, Jacques Demy and Agnès Varda. 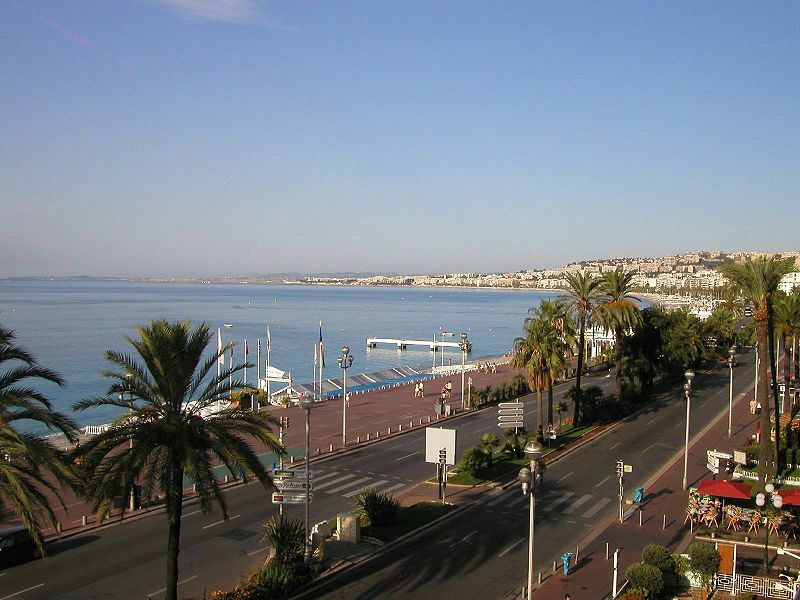 Promenade des Anglais, historic picture. (Facebook site). Nice night view with blurred cars, credit Kotasik. Promenade des Anglais, credit Thomas Calvanico Photographer (Facebook site). Promenade des Anglais in 1863. Henri-Joseph Harpignies dans "La Promenade ou l invention d une ville",credit Aymeric Jeudy (Facebook site). Promenade des Anglais, Sunrise,credit Jean Pierre Fouchy (Facebook site). Promenade des Anglais, credit Aymeric Jeudy (Facebook site). Promenade des Anglais, credit Flickr upload bot . 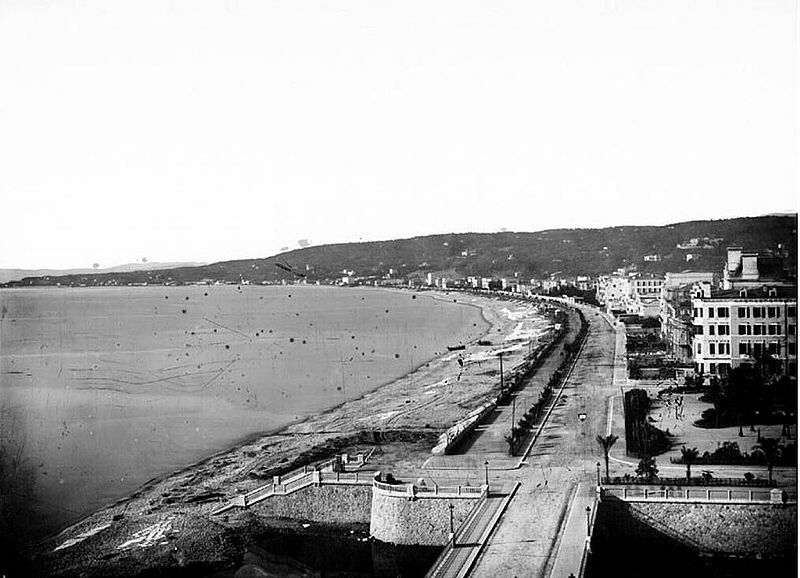 Promenade des Anglais from the river mouth in 1865. Promenade des Anglais, poster credit Aymeric Jeudy (Facebook site). Promenade des Anglais in Nice, credit Staeiou. Nice beach, credit Judit Neuberger. 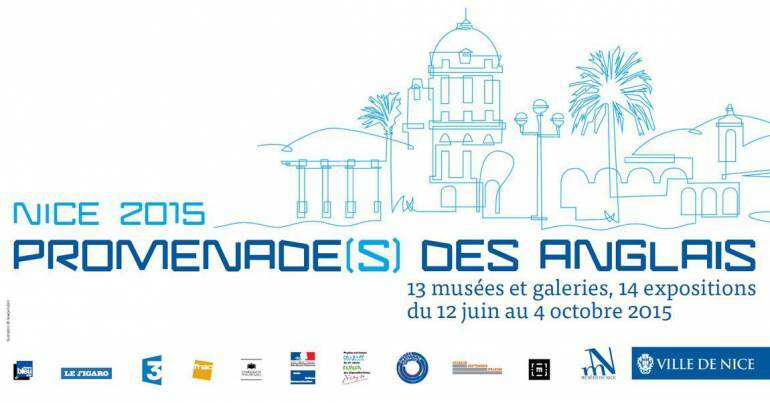 Promenade des Anglais, Logo 2015.